Are we currently in a “Buyers Market” Really?? With all the talk about us being in a buyers market currently, one might wonder where all the buyers are at. You can look around the country as see that tons of neighborhoods are plagued with homes for sale by individual sellers and banks also. So what exactly is a buyers market? This market can be applied to the old rule of “supply and demand.” When the supply is low the price increases, but when the supply is high the cost decreases for that particular product. This is the market we are in now, where the amount of homes for sale out way the number of buyers. “Hence, a “buyers market.” The terminology can be a bit deceiving, but that is exactly what we are in. There are lots of homes for sale and very little buyers in this current market. You might be asking where are all the buyers and the answer to that will be in 2009. This is the year where the first time buyers market comes back into action. The reason the first time buyers market disappeared was because of the cost of homes. The cost of homes increased at such an alarming rate around the US that it squeezed the first time buyers out of the game. With home prices falling around the country now it is more affordable for this market to pick back up where it left off. There are a couple of concerns that worry the housing market and that is inflation and financing. Current interest rates are in the mid to upper 6 range, and if inflation continues to be problem rates will increase after the first of the year. Also the financing arenas have tightened up and now will require money down to get financing in place. So this could be a possible issue going into 2009. My best advice would be to mange your credit report, and if you are not aware what is on your credit report pull a copy of your free credit report today. You should also save your money for down payment; FHA will require 3.5% investment on any loan financed after October 1st of 2008. With all the banking scandals and bad loans underwritten, you can count on financing being a lot tougher now. So be better prepared so you will not have issues getting a loan in this current lending market. You’ll see plenty of companies on line, in the newspapers, on the radio, and on TV who are shouting out offers for their Free Credit Reports. And they are telling the truth – they’ll give you a credit report. The trouble is, it won’t be worth the paper it’s printed on, because it won’t contain the number you need most to see: your credit score. The folks who think they need to know all about your financial life will definitely look at the history portrayed in your credit report, but they also want your score. They don’t have the time or the expertise to weigh each segment of your financial history, so they count on the 3 major credit bureaus to tell them about your credit worthiness. After all, when Bill Fair and Earl Isaac created the FICO scoring system, they’d been studying the statistics for years – figuring out what financial traits marked the difference between a good credit risk and a poor one. No system can predict the future with 100% accuracy, but their system predicts it well enough to cause almost everyone to rely on credit scores generated from it. • And even your soon-to-be spouse! Our finances used to be a private matter, and now almost everyone knows your business! When you get your free “scoreless” credit report you’ll be able to see what has been reported about you, and you’ll be able to check for mistakes and signs of identity theft, but you still won’t know how a potential creditor views you. And you won’t know if you need to begin taking steps to rebuild poor credit. But there’s a second reason why you need to know your own score. Sad to say, some potential creditors will ask if you know your score – and use that lack of knowledge against you if you don’t. If you have a good score and don’t know it, those creditors can fool you into thinking your score is poor, giving them a reason to charge you higher interest. They make millions every year from people who simply don’t realize that they qualify for lower rates. The good news is, when you request your free credit score reports from Credit Score Quick.com, you’ll get all you need – including the scores you need to know. When you think of needing a good credit score, the first thing that comes to mind is buying a home. Next is buying a car, and third is probably the ability to get a credit card. It’s true, a good score will help you in all those areas. Not only will it make you eligible for a home, a car, or a new credit card, it will mean that you will be granted a lower interest rate than someone with poor credit. Your buying power will be larger, because less of your money will be drained off to pay interest. Just think, if you borrow $30,000 for a new car and pay just 1% more interest than your neighbor, you’ll spend an extra $300 per year – $25 per month that you could be using for other things – just on interest. If you pay 2% more, that’s an extra $50 per month. Of course, the lender will probably let you stretch your payments over more years, so your payment might be the same as your neighbors, but you’ll pay it for an extra one, two, or three years. That doesn’t sound like fun at all, does it? But that’s not all. Your credit score could mean the difference between having and not having a cell phone, or satellite TV service. It could also mean the difference between an affordable insurance rate and one that makes you want to sell your home and your car just to avoid the premiums. Not buying a house? 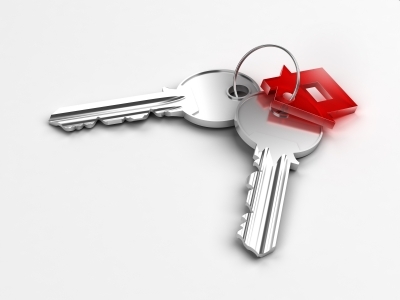 Prospective landlords also check credit before deciding if they’ll rent to you. After all, if you’ve got good credit you’re more apt to pay your rent on time. When your credit report shows late payments or defaults, they’ll form the opinion that you don’t care much about paying your bills. So naturally they’ll choose a tenant with good credit over a tenant with bad or even marginal credit. But that’s still not all. Professional employers check credit before hiring employees. When your credit is good it indicates trustworthiness and responsibility. When it’s poor, the prospective employer suspects that you’re disorganized, irresponsible with money, and just might not be conscientious in caring for the company’s best interests. This practice is especially prevalent in employment fields tied to financial practices – banks, accounting firms, and treasuries. The first step you need to take is to learn about your current score. Get a free credit report from an online provider, read it carefully to make sure it has no errors, and then begin working to make it as good as you possibly can. Errors could be killing your credit! Do you know how easy it is to type a wrong letter or number? Do you know that people doing data entry at huge corporations aren’t as interested in working error-free as you might wish they were? The combination can be deadly to your credit. That’s why, when you get your credit report, you must take the time to read and understand each entry. Your report could include accounts you’ve never had, accounts you’ve paid in full, and old information that should have been removed. All of these errors can and will affect your credit score. Certain kinds of information should be removed after 7 years – this includes lawsuits, judgments, paid tax liens, accounts dispatched for collection, late payments, and even child support. And yet, even though this information should have automatically fallen from your record, it doesn’t always happen. You need to take responsibility for knowing what’s on your report, and getting it changed if it’s wrong. Be sure to check your Social Security number, your name, address, phone number, and information concerning your occupation. Errors here could signal identity theft, or could just be errors. But the last thing you want on your credit report is someone else’s debt, just because their Social Security number is one digit different from your own (and incorrectly entered as yours) or because they share your name. Correcting errors and removing outdated information can have an immediate and positive impact on your credit score. And since that can have a huge impact on the interest rates you pay, it’s well worth your time to get it corrected. You simply fill out a request for reinvestigation, or write a letter to the credit reporting agency that listed the incorrect information. As carefully and accurately as possible, list every inaccurate piece of data and describe why it is incorrect. Do the same with each outdated item. Credit scores are re-figured every 30 days, so be sure to check your reports each time they come in. Catching an error immediately could save you weeks of hassle and untold dollars if that error signals a case of identity theft! Everyone’s goal I believe is to have financial freedom. We all are striving to retire someday. There are some steps in life we need to take to get there. In this article I wanted to discuss some very important measures needed to get the security in place for you. There all kinds of caveats like identity theft, your credit scores, interest rates, and terms on loans that could interfere with you saving for the golden years. Learn how to proper manage these items so you can save and avoid pitfalls. With the internet revolution buying stuff on the internet is pretty simple and secure these days. The access to your personal information may not be secure. There are some steps we need to take during this era so we don’t have issues. Remember the goal is to feel secure with our nice little nest egg. The government has stepped in and required the credit bureaus to provide you with a free credit report once a year. Is this good enough? No, you need to pull your credit report at least every 4 months. That way if someone is using your credit or credit cards, you will find out before it’s too late. While you are pulling your credit report make sure you set up credit monitoring. With identity theft being the biggest crime ever, you cannot afford to wonder whether someone is using your credit. There are too many opportunities for identity thieves to get your information. Protect yourself today. While you are saving as much as you can the last thing you want is someone to send you an e-mail posing as your bank. If someone sends you an e-mail asking for personal information, immediately delete it. I would recommend installing spam software so you don’t get junk and identity theft e-mails. If you implement the steps mentioned, you should be able to get the best rates and terms on loans. This in return will save you money in the long run. Saving money in the long run will allow you to save more money for retirement. So this proper credit management is really a way of life these days. We have to stay on top of our credit just to make sure that we are not getting ripped of by identity thieves, and to make sure we don’t get charged high interest rates on money borrowed. By implementing all of this you are one step closer to enjoying the golden years. I have some questions about which credit report to get. I have been looking all over the web, and noticed you offer a variety of credit reports. I need advice on which one to get. I would prefer to have all 3 of my credit scores. I would also like to make sure it’s a 3-1 credit report as well with monitoring. I would recommend the Privacy Matters credit report on the front of the website. This offer comes with all a credit report from each credit bureau along with all 3 credit scores as well. You can also sign up for credit report monitoring with this service. This is a very popular credit report on the web. I have recently decided to divorce my husband. We have lots of debt together on our credit report. I have read some of you great articles about your credit during a divorce. I want to make sure that my credit scores don’t suffer because of this divorce. We currently have about 3 credit cards that are joint accounts. We also have a house we both or on the note as well. I am really concerned that he might stop paying on some of the obligations which will affect my good credit rating. What do you recommend? I am sorry to hear about the divorce. The first thing you need to do is make sure the divorce attorney forces the husband to get all debts he is reasonable for out of your name. If he is late on an obligation I can assure you it will affect your good credit score report. This is only applies to joint accounts that he is responsible for. Even though the divorce decree might state he is responsible for the debt, if he is late on an account that has your social attached to it, your good credit will suffer. This is a common problem out there; also I would recommend selling the house if it’s awarded to him, or suggest that he refinance the house. Bottom line you don’t want any obligations in your name that he is responsible for. If you were responsible for paying the bills and feel he might be late on something, I would foot the payments until everything is out of your name that he is responsible for. You are currently browsing the archives for the free credit reports category.